The free Windows program WinSCP (Cyberduck for Macintosh users) is highly recommended for transferring your files from Engineering servers (H: drive, Departmental G: drive, and Senior Design drives ) to your remote computers. It is preferred over FTP because FTP programs transmit your username and password across the internet to our servers in plain text (where it could be easily intercepted by unfriendly people). 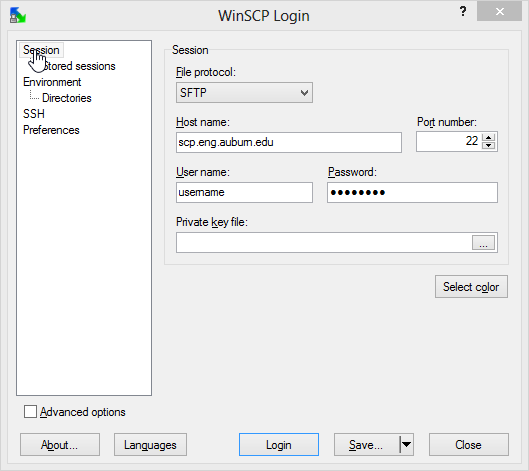 WinSCP encrypts transmissions and hides your password. A sample session is shown below. 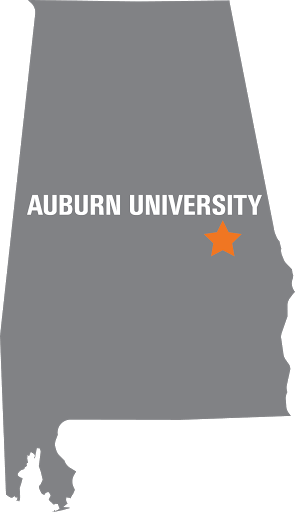 You connect using your Auburn University username and password. Click Save... to save this session for future use.